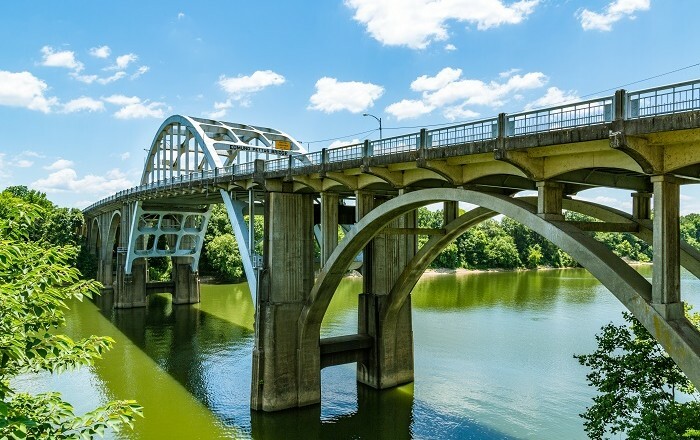 The Edmund Pettus Bridge is a historic bridge which is a great symbol of momentous changes that occurred in the US, located in the city of Selma, the State of Alabama, within the United States of America. 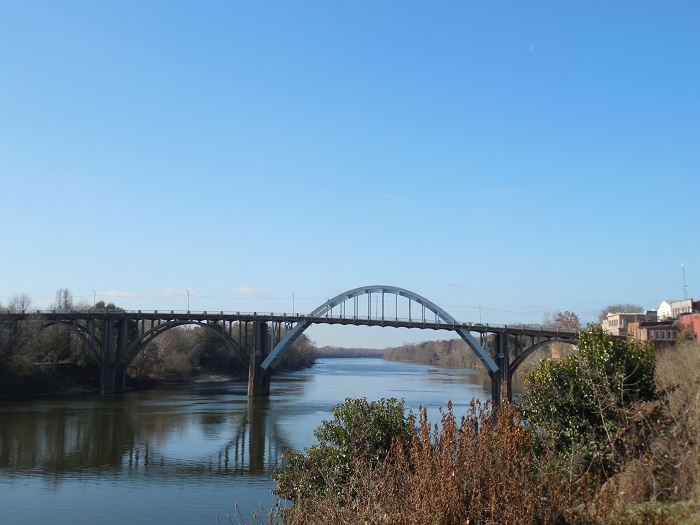 The name of the bridge comes from the former Confederate brigadier general, US Senator from Alabama of the Democratic Party and the Grand Dragon of the Alabama Ku Klux Klan, Edmund Winston Pettus. 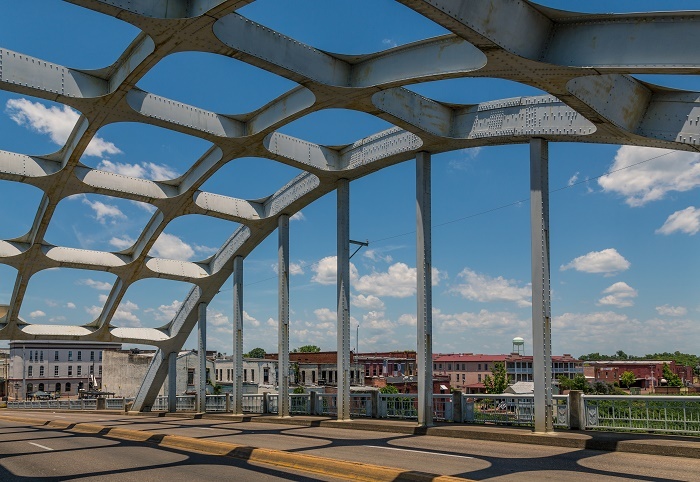 This big steel through arch bridge was built by the T. A. Loving Company between 1939 and 1940, and the dedication took place right after its completion. 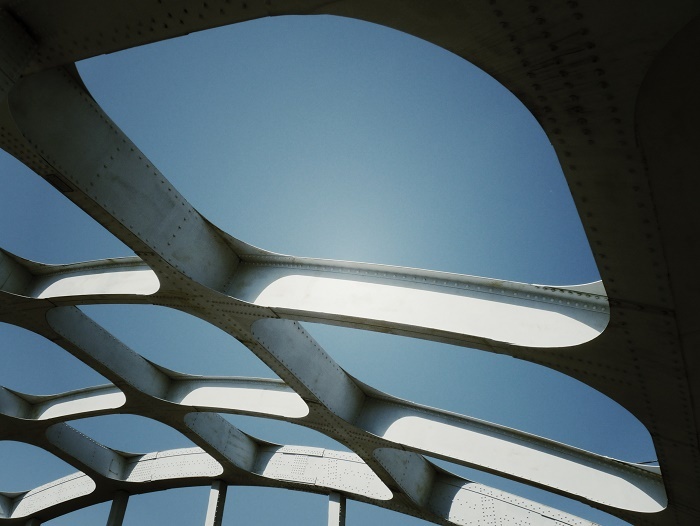 The large central part of the bridge has a span of 76 meters (250 feet), and there are nine large concrete arches that support the bridge and roadway, carrying the US Route 80 Business. 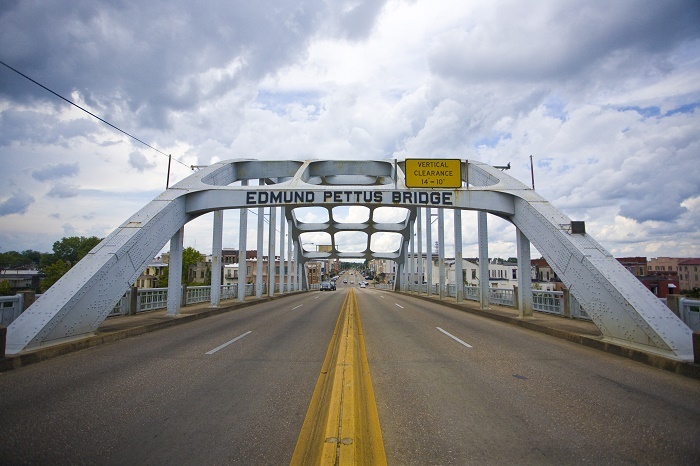 Nonetheless, the most important historic moment took place in 1965, when there was a march that began on 7 March which was part of the Selma to Montgomery Marches. On that historic day, which is a great symbol for the African American community in the US, there were between 525 and 600 people who marched for civil rights in their country. Led by John Lewis from the Student Nonviolent Coordinating Committee (SNCC) and Reverend Hosea Williams from the Southern Christian Leadership Conference (SCLC), who were followed by Bob Mants from the SNCC and Albert Turner from the SCLC, the march went as it was supposed to be, according to the plan, until the marchers crossed the Edmund Pettus Bridge. 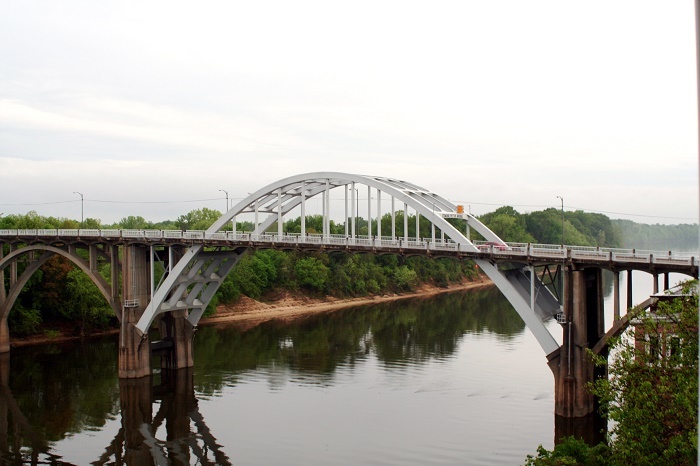 As they were planning to march to the state capital Montgomery, they encountered a wall of state troopers and county posse after crossing the bridge, when after a short word exchange between the commanding officer John Cloud and Reverend Hosea Williams, the troopers began to shove the demonstrators, knocking many to the ground and beating them with nightsticks. Then, another detachment of troopers fired tear gas, and mounted troopers charged the crowd on horseback. In total, there were 17 hospitalized marchers and another 50 who were being treated for lesser injuries. 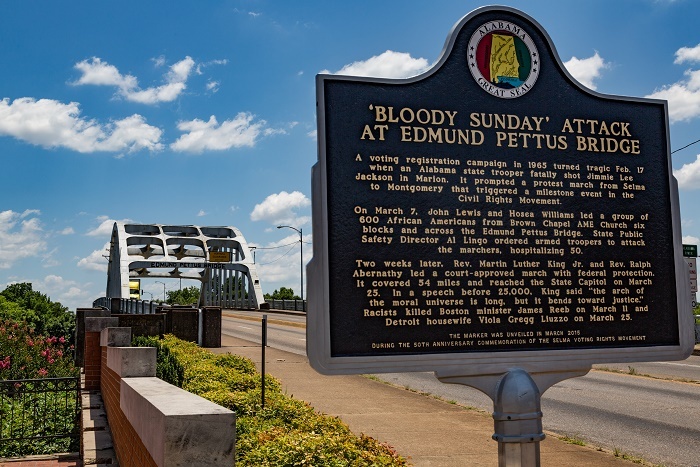 There were plenty of televised images that circled the country, which caused a roused support for the Selma Voting Rights Campaign, and the day nowadays is known as the Bloody Sunday. 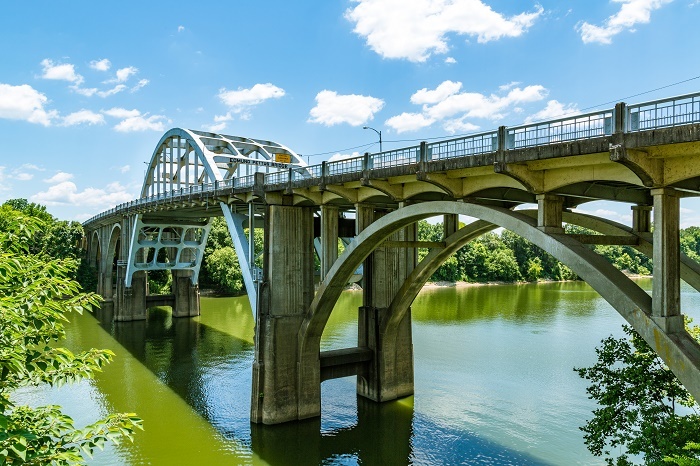 Today, the bridge has become one of the most hallowed places in America’s civil rights history, and there is a movement for the bridge to be renames as Edmund Pettus had been supporting the slavery and racism in the South, and even was fighting during the Civil War. 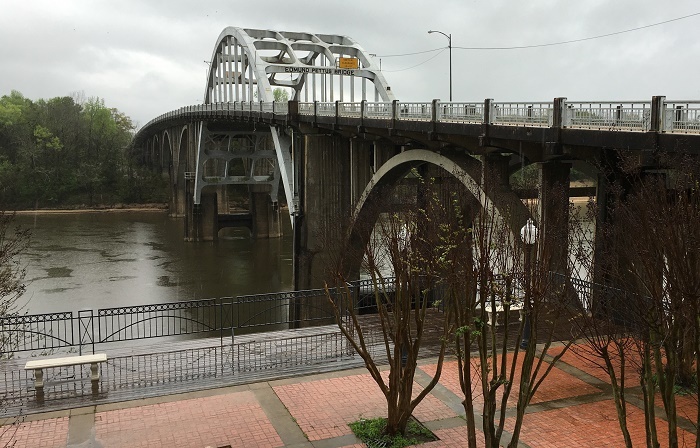 According to some residents in Selma, Alabama, the name change won’t cause an improvement of the race relations, but will bring some intense situations. 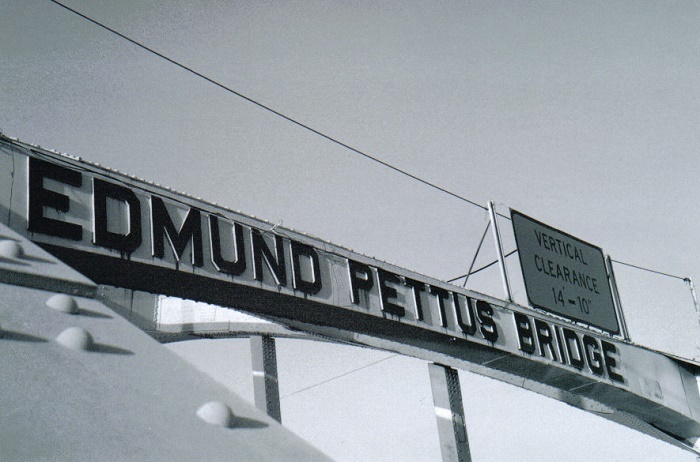 It was already attempted for the name to be changed in 2010 which failed, however, probably it is is better for the bridge to be left as it is and its history to speak, or if not, then one name that would signify the best solution would be Bridge of Equality. 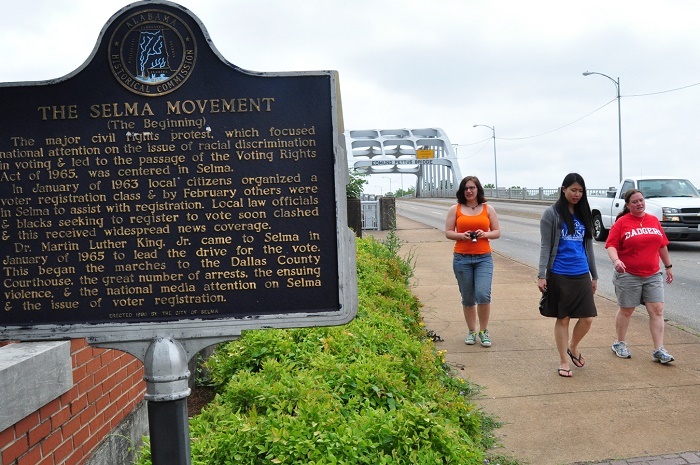 It should be mentioned also that on the 50th anniversary of the Bloody Sunday, the US President Barack Obama, together with other U.S. political figures such as former U.S. President George W. Bush and Representative John Lewis and Civil Rights Movement activists such as Amelia Boynton Robinson, led a march across the bridge, showing how far the American society has come with hope that there will be no more racial differences.